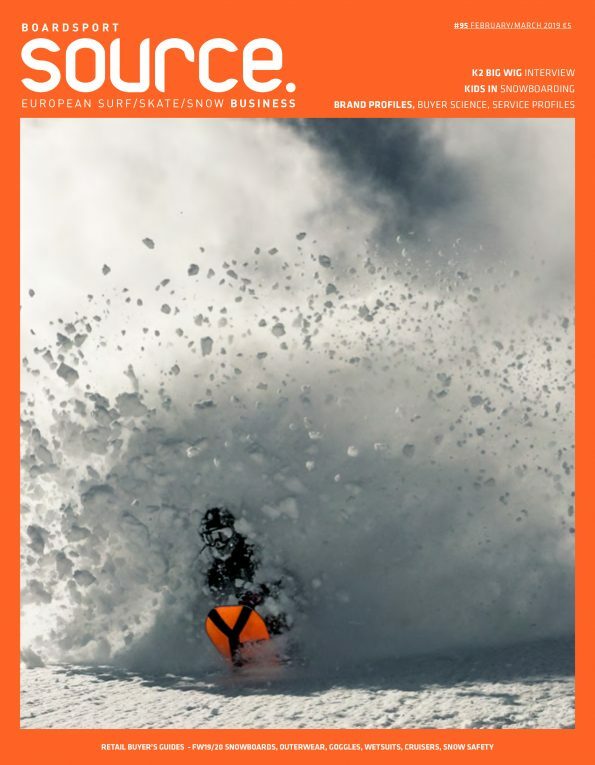 Adrien Hannart and his team at High Five in Munich are using boardsports to teach important social and integrative skills to young children, providing them with role models and introducing them to a new community. Those that take part in one of their workshops or training sessions face new challenges in a fun and character building way. SOURCE caught up with Adrien to get his insight on what direction the outfit is going in, and how it’s made an impact on the local community. Please explain the idea behind HIGH FIVE e.V. We want to enable children to increase their self-confidence, their belief in the future, strengthen their endurance and improve their sporting skills. Role models help them to boost their courage. The participants will get in touch with other children and teenagers sharing the same interests and passion and become part of a positive movement. Being meaningful, creative sports and part of the youth culture, skateboarding and snowboarding are the perfect tools to achieve these goals. We are open to all children and teenagers and promote a social mix in our programs. We have a focus on kids who need more attention due to their social situation, family background, learning difficulties, health or anything else. When was the organization started and who are the founding partners? The employees of Millhaus founded HIGH FIVE e.V. in 2010. HIGH FIVE is a team of highly motivated people. Skateboarding and snowboarding inspired us, gave us a creative impact and are a huge part of our lives – from work to spare time. How many people are now employed? Our team involves three employees and up to 25 snowboard and skateboard coaches. In addition, several volunteers support our project. And we’re currently looking for an intern to help us out. How far geographically is your remit? Most of our activities take place in and around Munich in Bavaria, but we are definitely growing and planning to extend our remit on a long-term run. 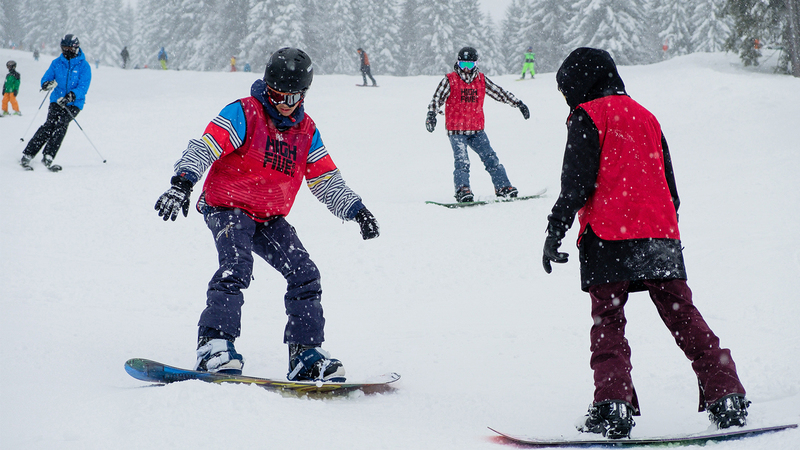 Our long-term snowboard program for kids with social disadvantages is currently in full swing. They learn snowboarding and all necessary organizational skills to plan a day in the mountains. They become part of a network, which helps them to stay in the sport beyond our program. Our skateboard program runs year-round and we coach the children in our weekly skateboard classes. Therefore, we also work very closely with schools. As the cooperations are very successful, we’ll definitely increase this. Our 1st Try Workshops, where pupils from the schools in Munich have the chance to try skateboarding in class for about 3 weeks, is going to start in April for the fifth year, with around 450 pupils that will learn the basics with us. And of course, as soon as the weather is getting better, we’ll be out again bringing all those kids together, learning many things and having some fun in the skateparks of Munich. Talking about skateparks, our Skatepark Mobil with a BMX and skateboard coach equipped with skateboards, BMX and pads to lend as well as everything you might need in a skatepark is getting ready for the big tour from May until October. What partnerships are you involved with? We are lucky to get support from many people, companies and organizations that we would like to thank once again. Especially the Laureus Foundation, which has been helping us for many years, as well as the city of Munich, Millhaus and Dr Loges. How can our audience help HIGH FIVE e.V. out or get involved in the project?